One thing we all purchase when going to Walt Disney World is TICKETS! That’s right, we all need to have a ticket in hand (or linked to our MagicBand) to enter the magical theme parks and water parks available on Walt Disney World property. With so many ticket options, it can be confusing when purchasing tickets. Check out these top ten questions and answers about Disney World Ticket Options. 1 – Are tickets one set price for all ages? No. You’re a princess or prince at Disney World regardless of your age, but Disney does have different ticket brackets depending on age. The best news here is children 2 and under are FREE! Children 3 to 9 years of age are roughly $5 dollars less than an adult. An adult is considered anyone 10 and up. No, Disney does not ask for a birth certificate for children, but they do request a date of birth. 2 – Which ticket option is best for me? Disney offers several ticket options. Ask yourself how often you are planning to visit and how many parks you plan to go to. The 1-park-per-day ticket is exactly what it sounds like. You purchase a ticket and can visit one of the four theme parks in one day. A Park Hopper ticket allows you to visit as many of the four theme parks you’d like to visit in one day. This is perfect if you want the flexibility to jump from one park to another. Keep in mind, we don’t recommend this option very often if you are a first timer. There is plenty to do inside one park in a day. The Park Hopper Plus ticket is the same as above except it includes hopping to one of Disney’s two water parks. Annual Passes allow guests to visit anytime of the year, any parks, and hop around as they would like (unless purchasing an annual pass with blockout dates). There are multiple types of Annual Passes as listed below. 3 – Does the ticket cost vary depending on when I visit? 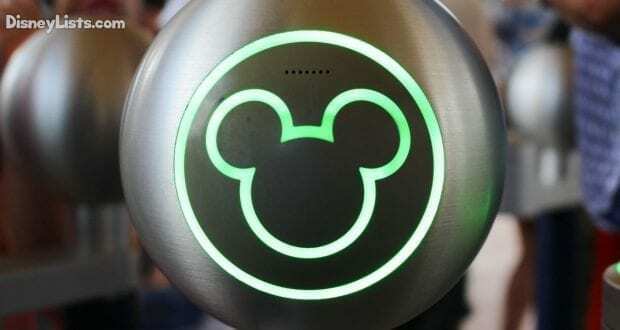 In 2018, Disney introduced a new date-based ticket system. This means that yes, ticket prices do vary depending on when you visit. Holidays and weekends cost more than a normal weekday. The five months with the lowest ticket prices are January, February, May, August, and September. 4 – How much does a ticket cost? This is probably the most asked question as you prepare your Disney vacation budget. As mentioned above, ticket costs vary depending on when you visit, but here are a few numbers to give you an idea of what you’ll be spending. 1-Park-Per-Day Tickets: The basic ticket for any one of the four theme parks costs between $109 and $129 plus tax for an adult (10+ years) depending on when you go. The more days you book, the more discounted the tickets cost per day. A child’s ticket (3-9 years) is typically $5 less than the adult ticket. Children 0-2 are free! Park Hopper: Plan to add right around $55 per ticket for a Park Hopper addition. This means you’ll be looking anywhere between $164 and $184 depending on when you go. Park Hopper Plus: Want to go to the water parks? Add in “plus” and you’ll spend roughly $80 more per person, ranging between $189 and $209, depending on when you go. 5 – Is an Annual Pass worth the investment? To become an Annual Passholder, you’ll have to be ready to spend a pretty penny. With that in mind, if you are planning multiple trips to Disney World, an Annual Pass may SAVE you money and be an excellent investment in the long run. It all depends on how often you plan to visit and what type of flexibility you’re looking for. 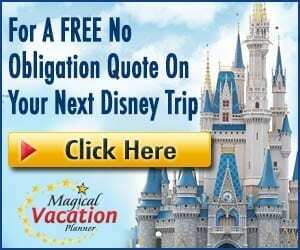 Disney Platinum PLUS Pass– Starts at $994 plus tax. This includes admission to the four theme parks, two water parks, ESPN Wide World of Sports, and Oak Trail Golf Course. It also has no blockout dates. Disney Platinum– Starts at $894 plus tax. This includes admission to the four theme parks with no blockout dates. Water Parks Annual Pass– Starts at $130 and provides admission to the two water parks with no blockout dates. 6 – What Ticket Discounts are available? Why not save your wallet a little and get a discount if possible! 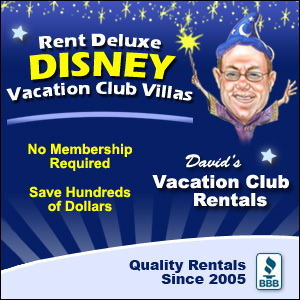 Florida Resident and/or DVC Member: If you’re a Florida Resident or a Disney Vacation Club Member, you’re in luck! You can usually expect a 20% discount in ticket prices from one-day tickets to Annual Passes. PLUS – Disney offers different ticket options for both Florida Residents and Disney Vacation Club Members. Examples include Annual Passes as a discounted rate because they have blockout dates that usually fall on major holidays. You’ll have to show a valid Florida ID when first using your Florida Resident ticket. Vacation Packages: Bundle and save! Disney releases different vacation packages throughout the year that are worth exploring. Most of the time ticket discounts require a purchase of a Disney resort stay. You may also be required to purchase the Disney Dining Plan depending on the package. Be on the lookout for Vacation Packages because the more you bundle, the more you save. Military: Are you currently in the military or retired military? Disney treats their veterans with care and offers discounted ticket prices and vacation package deals. Military ID is required to be shown prior when first using a Military discounted ticket when entering the park. AAA: Visit your local AAA office to see if they have ticket discounts available for Disney. We will say that while it’s not a very big discount, every little bit helps! 7 – What are “Special Event Tickets”? Whether you’re an Annual Passholder or purchasing a one-day ticket, there are special events that require a separate ticket. The most popular special ticketed events are held at Magic Kingdom including Mickey’s Not-So-Scary Halloween Party and Mickey’s Very Merry Christmas Party. The park closes at 7:00 pm these days to all those that do not have a special event ticket. This is why it’s important to check the park calendar and Times Guide prior to planning a visit to a theme park so your day isn’t cut short unexpectedly. 8 – Are tickets refundable? That’s a negative! Sorry, but once you purchase your ticket… it’s yours. Disney does, however, allow you to change your ticket and ticket dates prior to midnight of the day before your ticket’s valid use date. Thankfully, there is no change fee unless you are planning to visit on a day when the park admission is more. 9 – Is my old ticket still valid? Most likely yes, but maybe not Ok, we can’t answer this one for you! If you have an old ticket that doesn’t have an expiration date on it, you’ll want to email Disney an image of the ticket (front and back) with your information to ticket.inquiries@disneyworld.com. You can also call (407) 566-4985. Fingers crossed it still offers valid admission! 10 – Can’t I just purchase tickets at the window? You are welcome to purchase your ticket at the Guest Services window before entering the park. We highly recommend, however, not going this route. We’d suggest booking them online at https://disneyworld.disney.go.com/admission/tickets/ at least 30 days prior to your park arrival date. You can start booking FastPasses 30-days prior to your arrival (or 60-days for Disney Resort guests). By purchasing them online, you’ll also be able to avoid the long wait at the window to get in to the park. It’s a time saver in many ways to purchase them in advance online!